The past two weeks we have witnessed the Nozomi Project leap ahead into a new unfamiliar world of becoming a real day-to-day operation. It is amazing to see this -and sometimes scares me to death! –But mostly amazing. Tuesday through Friday eleven ladies are gathering in our Be One guest house, which for now has become the workshop for making jewelry out of shards of broken pottery. I love to watch these ladies at work! 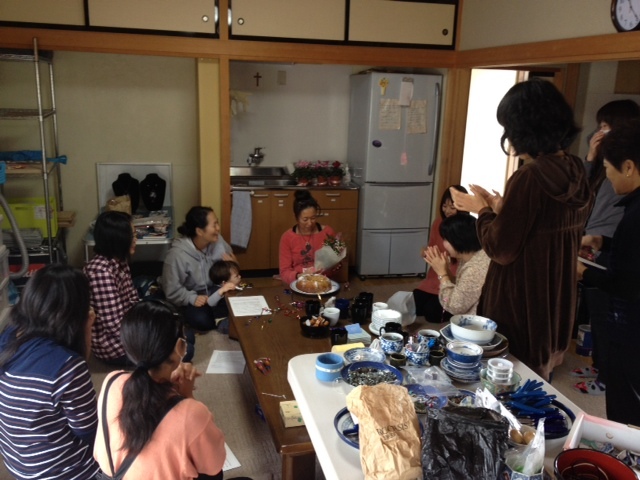 One of the women, Tomoko, said yesterday, “I used to hate waking up in the morning and thinking about my life. 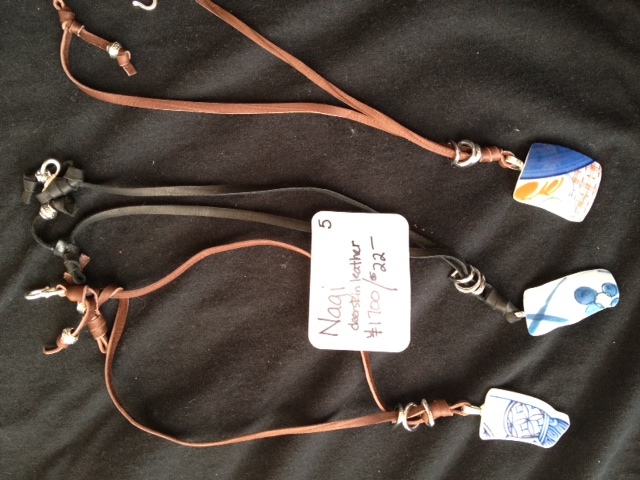 Now I wake up and think, ‘I can’t wait to see what necklaces I get to make today! 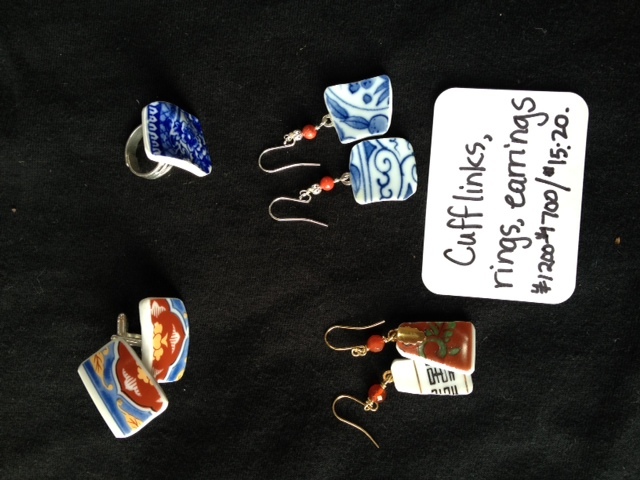 '” I feel the same way — at the end of the day, I can’t wait to see the combinations of necklace styles, beads, leather, and — pieces of broken pottery that have become beautiful. We are committed to excellence in our work and our transactions. Developing a sense of trust, openness, and honesty is integral to finding wholeness in our work community. We are committed to confidentiality, restricting gossip, and working with an attitude of encouragement and respect for one another. There must be transparency in all of our activities, behavior, and finances. We don’t mind making mistakes; we are committed to an environment of learning, laughing, crying and growing together. We are a group formed around the idea of hope; it is something God is giving us here and we believe God will use Nozomi Project to spread hope to many others. We want to accept each other’s strengths and weaknesses and be open to accepting new people who might come in so that we can carry hope to others as well. Because we want to understand and depend upon God, each day we will have a short time to read a part of the Bible and pray together. We have seen how God has already answered many prayers in our lives and in the Nozomi project; we are excited to see Him answer many more prayers. One of the amazing things that God has brought to us is a manager. My friend Yuko has taken on this job as though she was made for it. She practiced with us for two months, then trained intensively with Lisa and Rebecca, learning how to make each accessory item. Now she is patiently teaching all of this daily to eleven women who come at different times with different abilities and skills. We have all been amazed — maybe even stunned — to see her abilities shine so beautifully. On the day that I shared our business plan, I began by sharing with them an important story about me — that of my mom’s death twenty-three years ago. Near the end I shared that there are still times when I wish I could call my mom and ask her advice on raising kids; or if when I was little I ever did such and such…. (This is the part when I started to cry). And I told them about a time several months after her death when the shock and numbness had begun to wear off and I could no longer pray. It worried me a lot. I had lunch with my friend Karen Longman, and I always remember her calm assurance as she recounted to me the story of the paralytic man who couldn’t get to Jesus on his own, so his four friends made a cot, put a hole in the roof, and carried him to Jesus. She said that there are times when we ourselves maybe can’t get to Jesus for different reasons, and that’s when our friends need to carry us there. I shared with my Nozomi friends that there will be times in all of our lives when it might seem hard to pray; perhaps impossible to come to Jesus. But we are a community, and so at those hard times we come together and bring the weak or the grieving or the paralyzed to Jesus. That’s what community does for each other. And then my friend Y. started crying, and sharing how hard it is without her mom. We prayed for her, and prayed as we start this new thing. 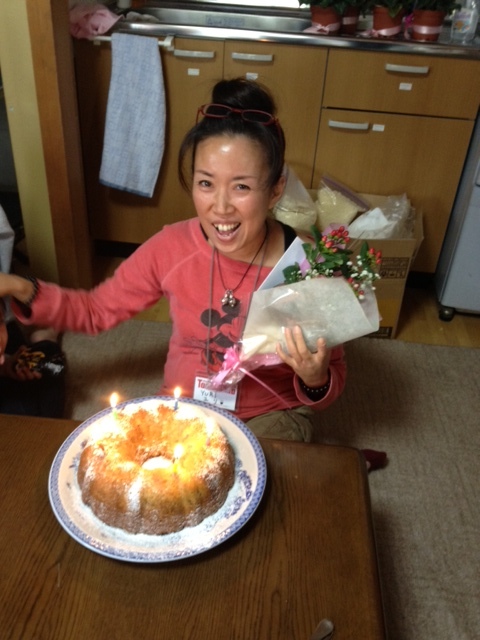 Then we had birthday cake for Yuri, and gave her flowers and a card. She was so happy. There was a sense of something special. We were all so glad to be a part of it. Reading all about this makes me wish I could join you in the creation of the jewelry and enjoy the fellowship. What a gift you are giving these women, Sue!